Suffolk County Police today arrested a man who shot and killed another man in North Amityville this afternoon. Rashad Woolridge, 28, of North Amityville, was found dead from a gunshot wound. Police arrested Tephonte Smith, 18, of North Amityville. North Amityville, NY - August 17, 2016 - Suffolk County Police today arrested a man who shot and killed another man in North Amityville this afternoon. Rashad Woolridge, 28, of North Amityville, was found dead from a gunshot wound in his residence at approximately 12:40 p.m. After a thorough investigation, Tephonte Smith, 18, of the same address, was arrested by Homicide Squad detectives and charged with Murder 2nd Degree. Smith will be held overnight at the First Precinct and is scheduled to be arraigned at First District Court in Central Islip on August 17. 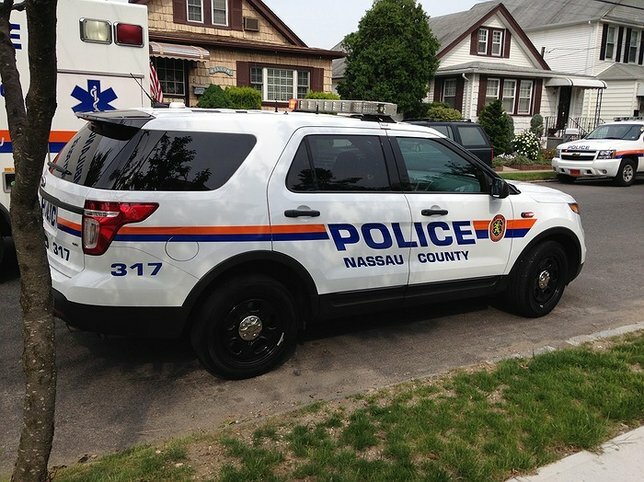 Subject: LongIsland.com - Your Name sent you Article details of "18-Year-Old Man Shoots and Kills Another Man in North Amityville"